And while I was looking through pictures I came across one of my absolute FAVORITE ones from that same summer. I seriously feel like this was yesterday! Anyway, this year we didn't do ANYTHING out back because we fully expected to start construction on our house in June. Since then plans have changed, but I did have the urge to get my garden on and so when I came across this super cute set of pots I snatched it up and got my hands dirty. My set of pots is sold out, but they now have this fantastic set of SIX! ... and these really cute copper labels and that (and a Sharpie) was all I needed! I LOVE aged terra cotta!!! I have plans to age some of mine over the summer... it's a long process though so these were a quick fix. The pots aren't huge, so the dirt that came with the plants was plenty. I wrote on the labels with Sharpie and so far it's held up! Hope you liked my little mini garden - for all of y'all with "black thumbs" this would be an easy project to do with your kids :) You could even plant seeds (beans or something else easy) and label them with your kids names and see which one grows the fastest/biggest. It would also be cute with different flowers. Happy Gardening, Friends!!! PS - The links for the pots and labels in this post were affiliate links, which means that if you clicked on one of the links and made a purchase I may receive a small commission. THANK YOU!!! So maybe a dumb question but I am SUCH a black thumb... where do you buy the herbs? A nursery? The grocery? Haha, help a girl out! I LOVE this idea because I hate dropping a pretty penny at the store when I only need like a tbsp of dill. Thanks! Not dumb at all!!! I got mine at Calloways (a local garden center), but I've even seen them at the garden department at WalMart. Home Depot and Lowes have herbs as well! Cutest little herb garden EVER!! Yes ma'am!!! Come get some ANY time!!! I also have a pot of parsley out front that is going NUTS!!! Come and cut! Love that little project! And so much cheaper than buying those herbs as you need them for recipes! You can TOTALLY handle this! What a great idea! Whatever is below a black thumb...that's what I am! hahaha - you could totally handle this!!! Herbs are easy! I loved the idea! I think I got the last set of pots available. I was thinking on doing something like this for a while and your post was all I needed today! Just a thought about allergies... My sister used to have awful seasonal allergies. She cut out grains and refined sugar and has had complete relief since then. 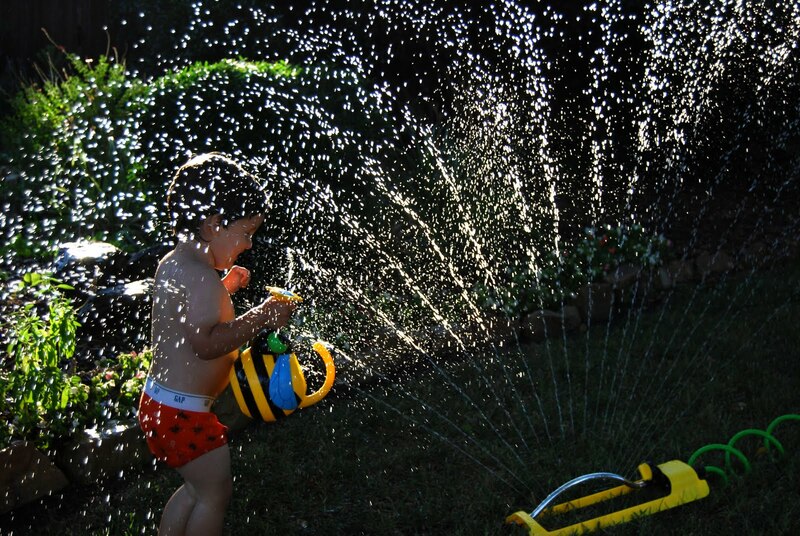 Love the picture of Luke with the sprinkler! Good to know! I'll have to look into that. Thanks, KAren! Karen is so right. From the pictures you post, y'all eat so much processed food and sugar it's no wonder you and your son have horrible allergies. Thanks for the concern, anonymous! Andrea can you share the name of the contractor that was going to do the addition to your house. I'm in McKinney and in the same predicament you were in and would like to add on to our current home. I just have no clue on a contractor and would love a referral. Sure! It was GG Cain. They're custom home builders and have a renovation/addition side of their business as well. SUPER knowledgeable, professional and great to work with. Lol. Your cilantro is actually basil. That doesn't look like any cilantro plant I have ever seen. YAY! Send me a picture when you plant! I liked your blog so much better when you weren't loading it with rstyle links almost every single day. The negative comments you've been receiving lately are starting to make a lot more sense. Also, I'm confused as to why you write "....I may receive a small commission..."?? The word "may" in this context means "expressing possibility". If someone makes a purchase, you ARE receiving a commission (and they don't even need to purchase the actual item you linked to for you to receive the commission). The way you have it worded is misleading to your readers. You're making it sound like there's only a possibility of you receiving a commission, when you're actually receiving one. Thanks for the feedback - but the truth is that I don't always receive a commission when someone clicks on a link and purchases an item. There are other factors (other links that they click on before purchasing, their cookie settings, etc.) that determine whether or not I get a commission. And as far as me receiving a commission for them purchasing other items - when I get my report it only shows commissions earned from the items I link to... no other commissions are shown. So I have no idea about receiving commissions from other purchases. As far as me "loading my posts" with rstyle links - that's completely not true. I purchased the pots and labels, used them in my post, and linked to them one time. I really don't consider that loading a post with links. I do posts with more links (like gift guide posts), but try to limit my links to things that I actually own/use. Also, I went through the last few weeks of posts and there were 10 with links out of 34 posts... hardly every single day. I've read your blogs for years and have loved watching it grow. Personally I think you handle the commission links well. I know that you're making commission on items that you link to, but never feel like you're being pushy or disingenuous just to make the commission. I've purchased several things through your links and will continue to do so because I feel like you're honest about it. Keep on keepin on! You're doing a great job. I didn't say you loaded your post with links, I meant your blog as a whole. I also didn't say you do it every day. Please re-read. I said almost every day. 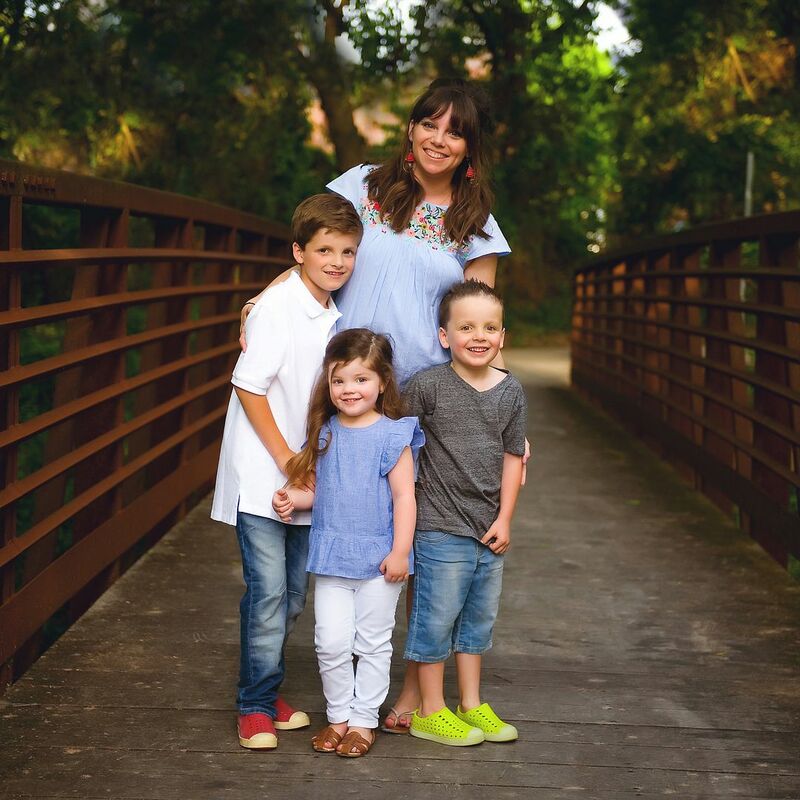 Regardless, I was under the mistaken impression you were a mommy blogger who focused more on child rearing, tips, recipes, and that sort of thing, not on making money off of her readers. There are a lot of bloggers out there with a large following and presence who don't even use rstyle; they just tell their readers where they purchased an item. Maybe you're not posting as many links as some other bloggers who do use rstyle, but you do it several times per week. It's fine. I get it. At the end of the day, it's a business. You'll argue this point, I'm sure, but if you're profiting from it, it's a business. You're entitled do whatever you choose, but it's obvious (from some of the comments I've seen both here and elsewhere) your choices are having an effect on some of your readers' opinions of you. I was pointing out that your disclaimer seemed misleading. A very close friend of mine uses rstyle through her blog and has told me that if someone buys the item she linked, she absolutely receives a commission. Hi Andrea! I love your blog. You seem like such an awesome wife, mom, teacher and friend. What is the name of the song on the " GG is 3" video you showed the other day?...the video was adorable and the song was beautiful! I love the pots and herb planting in this post. This might be a silly question, but do the pots have drainage holes?? Also, you handle "trolls" much better than I ever could-hence why I don't blog haha! I personally don't care if you make a million off of affiliate links-a blog is "work", fun work yes, but still work, so why shouldn't you make a little off of it? !